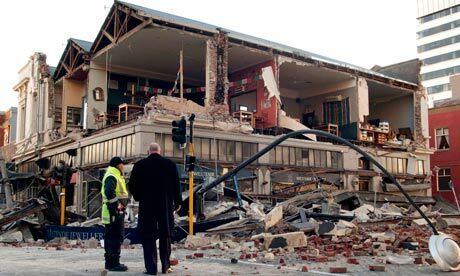 Awful to see the devastation in Christchurch we were there 2,5 weeks ago, we recognise many of the locations. Such a beautiful city with nice old buildings now ruined and so many lives lost. The death toll from the Christchurch earthquake could rise as high as 200 after police confirmed up to 120 people are feared dead at the Canterbury TV building site. Police believe there are a further 22 bodies inside Christchurch's Cathedral Square. They said 238 people were missing after Tuesday's 6.3 magnitude earthquake. The official death toll stands at 76.